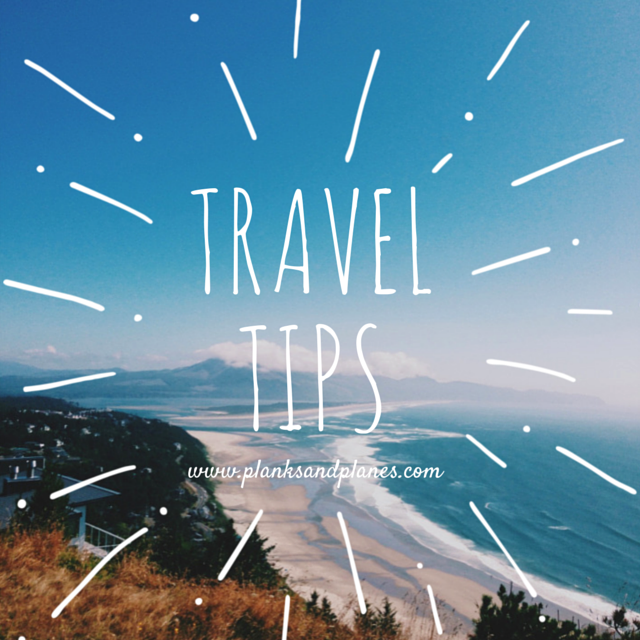 Last week on Travel Thursday, I shared the first post of the series Travel Tips. Following the tips I shared to help you start in the initial planning of your travels, today I want to share Part II of Travel Tips. As shared in Part I, researching, planning and booking a trip requires special attention to getting the most cost efficient trip. Over the past few years of travel I have found websites that I regularly check whether thinking about where I want to go on my next trip or am actually in the booking stage following a few weeks of the research stage. I advised in Part I to subscribe to travel company’s emails so you can be notified about special offers or sales. I hate having a full inbox so I have one separate account for just travel companies. This way I can still receive offers from companies but do not have my work or personal emails getting too mixed up or bombarded with travel emails. Due to the exclusive offers you get from email subscriptions, it is beneficial to add your email to companies’ list. Beyond email subscriptions, there are many websites to book travel through that you can get competitive rates on which help you to make the best decisions when traveling. Groupon – I love Groupon getaways because they offer some all inclusive packages that allow you to visit places at a great deal. We booked our Thailand trip through Groupon at an extremely competitive rate including air, hotel, some meals and the option to add tours. We knew that we wanted to visit Bangkok and Phuket in Thailand so we started researching into making the trip work. After looking for a couple months, we found a Groupon getaway for 4 days in each city. Basically Groupon did most of the leg work for us and allowed us to add optional tours to the trip. If you have a place in mind that you wanting to visit and are flexible on dates, Groupon is a site you should visit to see what options they have in getaways. Hotels.com – Hotels.com offers not only competitive rates on hotels but many subscriber exclusive offers as well. One of my favorite features from Hotels.com is their reward program. For every 10 hotel nights you book through Hotels.com, you get 1 free night. If you are traveling often, this can add up very quickly. Hotels.com has a deal of the day where you can book a discounted daily rate for various cities. The website also offers many special deals and coupon codes through their email subscriptions. Skyscanner – If I had to pick a favorite travel website, Skyscanner.com would definitely be it! It is a wanderluster’s dream website. The site compares flights across hundreds of airlines- high end flag carriers, charter flights, and budget airlines giving you many options when it comes to air travel. Besides giving an extensive listing of airlines allowing you to see the cheapest option, you can book the flight instantly with the click of a button. There are no added fees because when you’re ready to book we send you a direct link to the airline or travel agent. The best part of Skyscanner is their ‘Everywhere’ search which lets you input where you want to fly from and which month. The search will show a list of available flights from your airport to destinations across the globe. Kayak – I use Kayak for finding the most cost effective flights and hotels. It allows you to input your search options which gives you results for multiple airlines and hotels. I used Kayak for my trip to Europe which was perfect due to their itinerary management. Once you booked an airline or hotel, it allows you to manage your entire trip itinerary within their website. This is very helpful in your planning stage to have everything in one central spot. Viator – I owe a special thank you to my coworker who introduced me to Viator.com for booking tours. It is the best website to use when you have booked a trip and are starting to plan what you want to do or see. Viator offers cost effective tours for travel spots across the world. They offer tours that appeal to everyone from day trips, food tours, sightseeing tours, walking tours and more. The website will offer options for anyone in any spot you are planning to visit. Tell me: What is your go-to website when booking travel? Note: I have no affiliation with any of the sites listed above. They are simply websites or companies I have found to offer the best service, rates and booking options when it comes to travel. This entry was posted in Domestic, International, Travel, Travel List, Travel Tips, Traveling, Trip, Wanderlust and tagged Domestic, International, Travel, Travel List, Travel Tips, Traveling, Trip, Wanderlust. Bookmark the permalink.